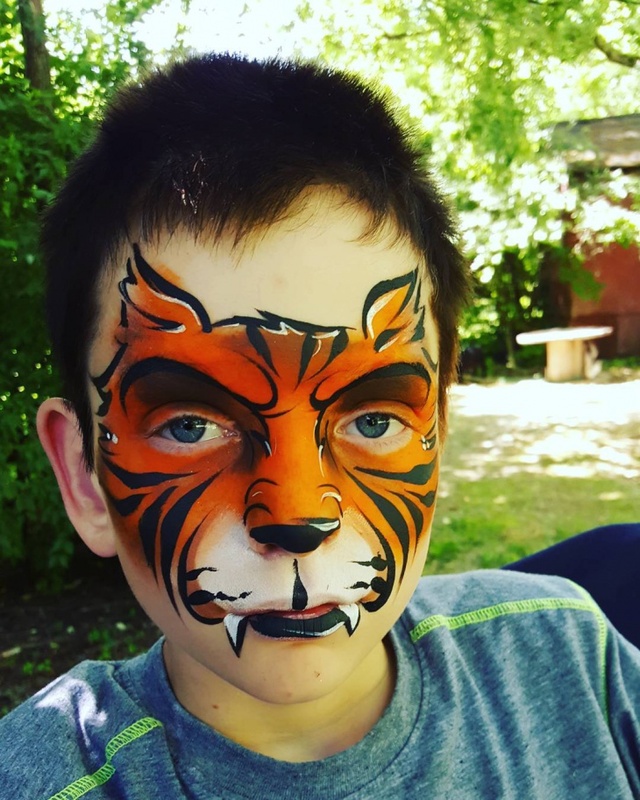 Tigers are marvelous creatures, full of powerful deadly energy. 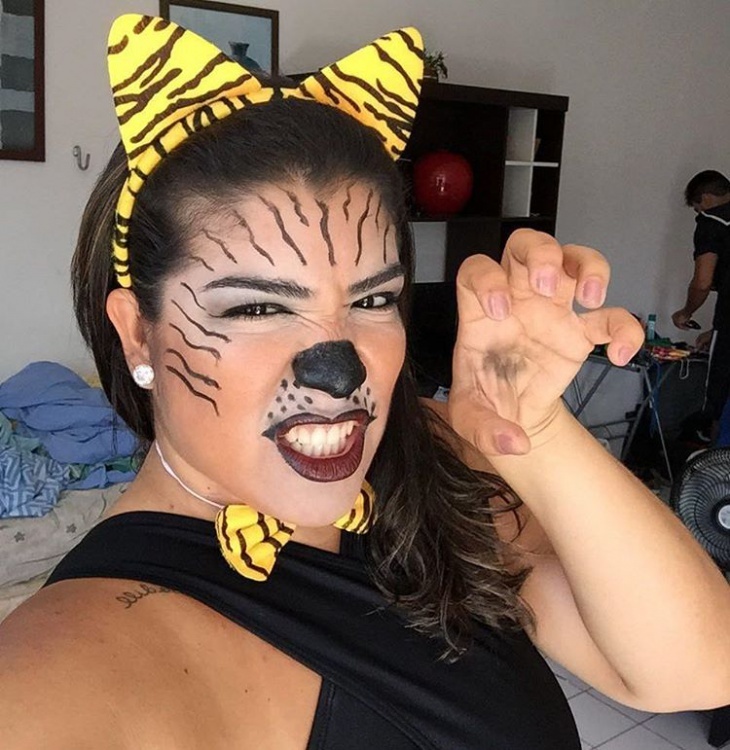 In case you want a Tiger makeup for this year’s Halloween then we are here to help you. 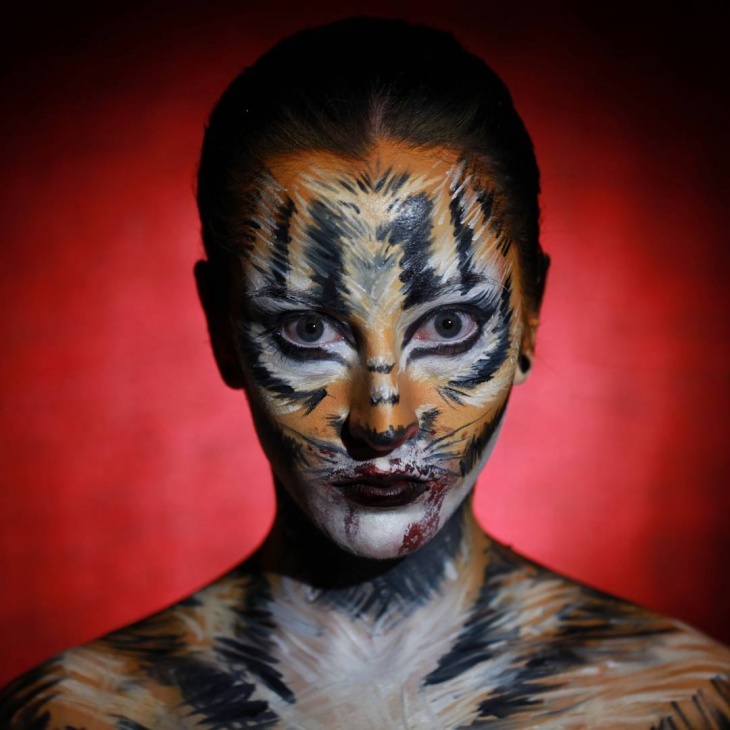 Tiger face makeup is a creative way to show your artistic talents by using three basic colors and lot’s of inspiration. 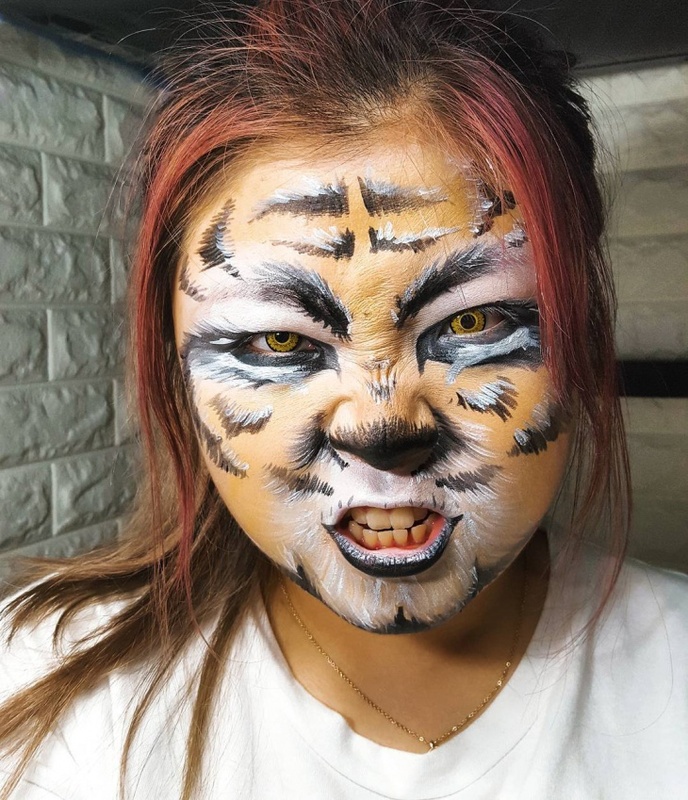 For those who are bold, we have prepared a collection of tiger face makeup ideas that we hope will help you create the most captivating looks. 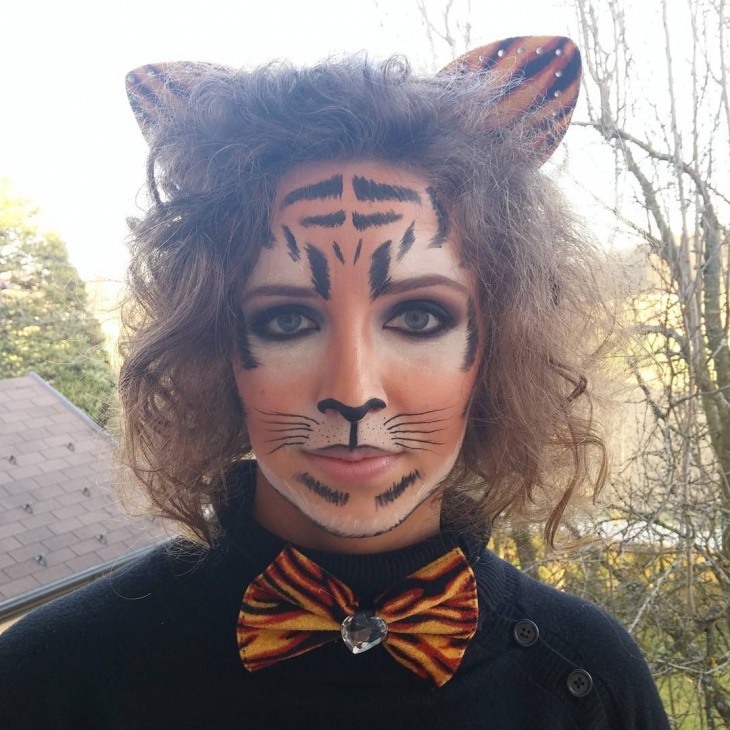 For a stunning and eye-catching look, you can recreate this tiger makeup. You can see that the details of the fur bring the design to life. To achieve that, try and make single strokes with your makeup brushes. 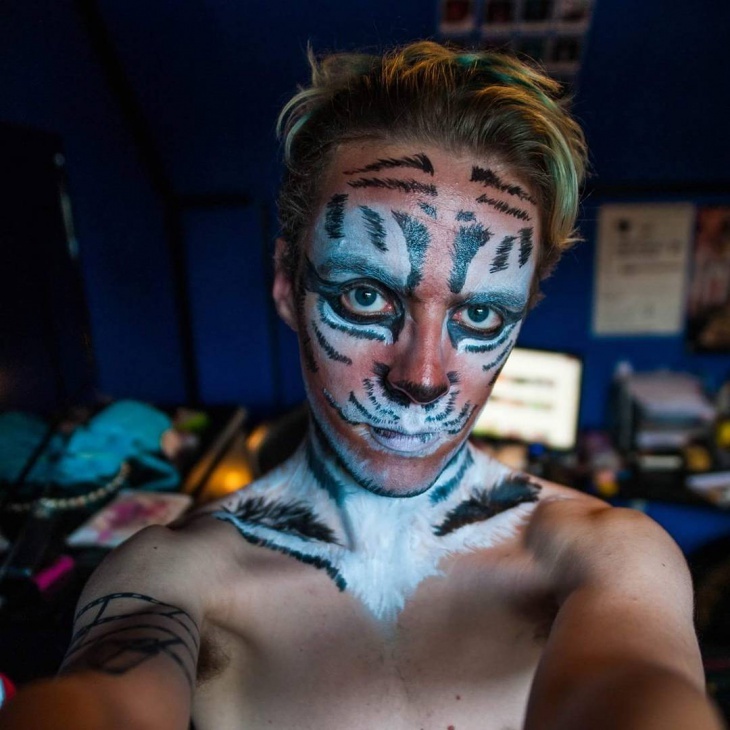 Take a more ferocious approach with this tiger makeup. 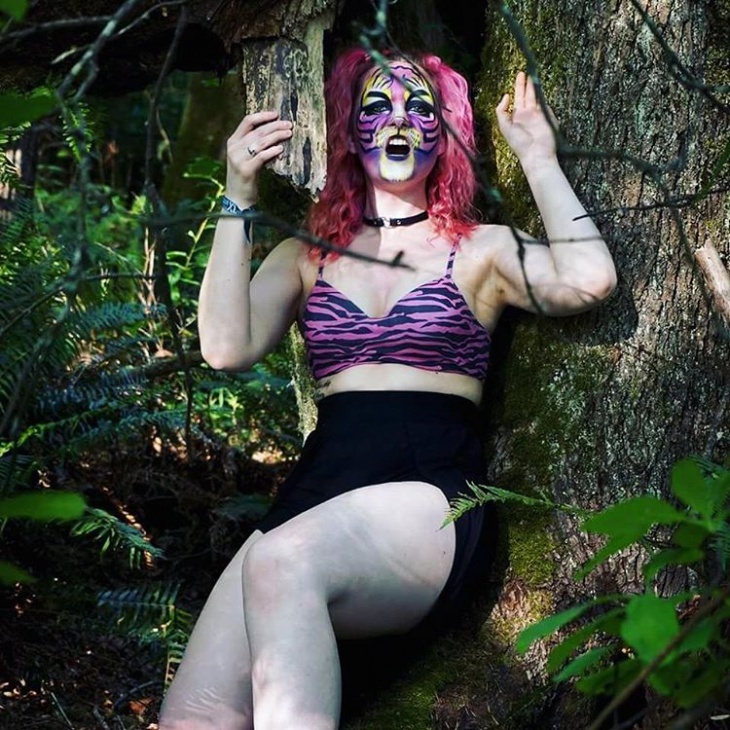 Pay close attention to the makeup around your eyes. 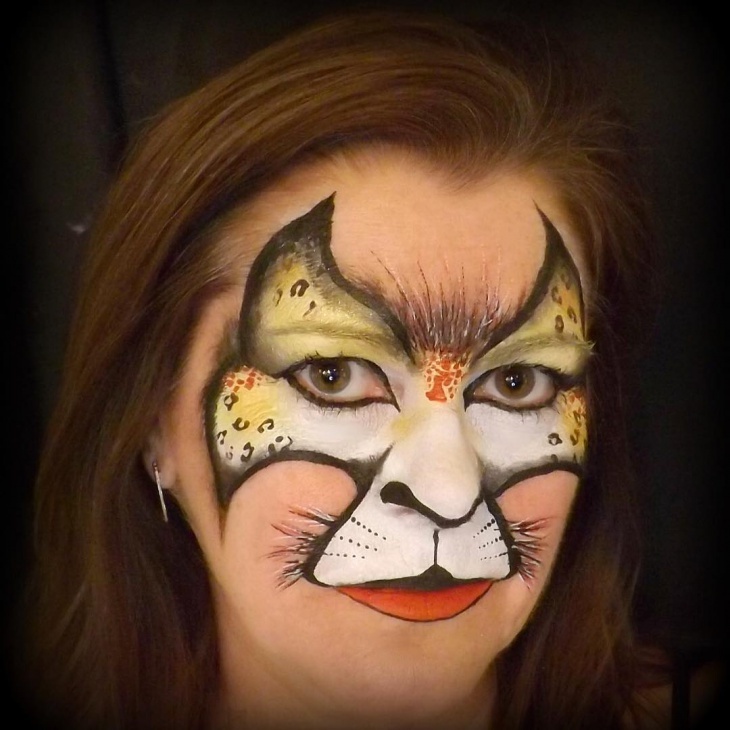 Create a cat shape with a black kohl pencil around the eyes and use a white pencil for the bottom water line. 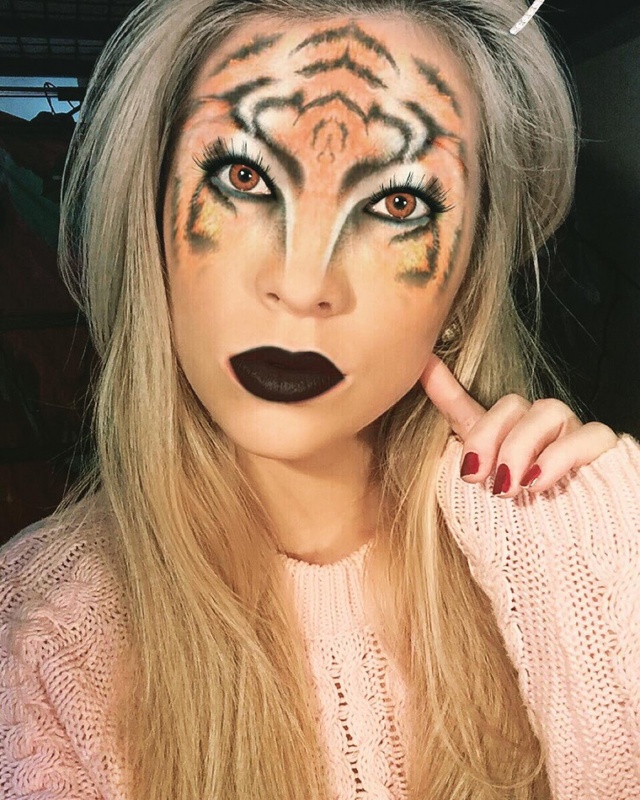 If you don’t want to spend that much time in creating a full face tiger makeup it’s ok. Focus on the upper half of your face and use colors like black, pale terracotta and white to create this stunning result. 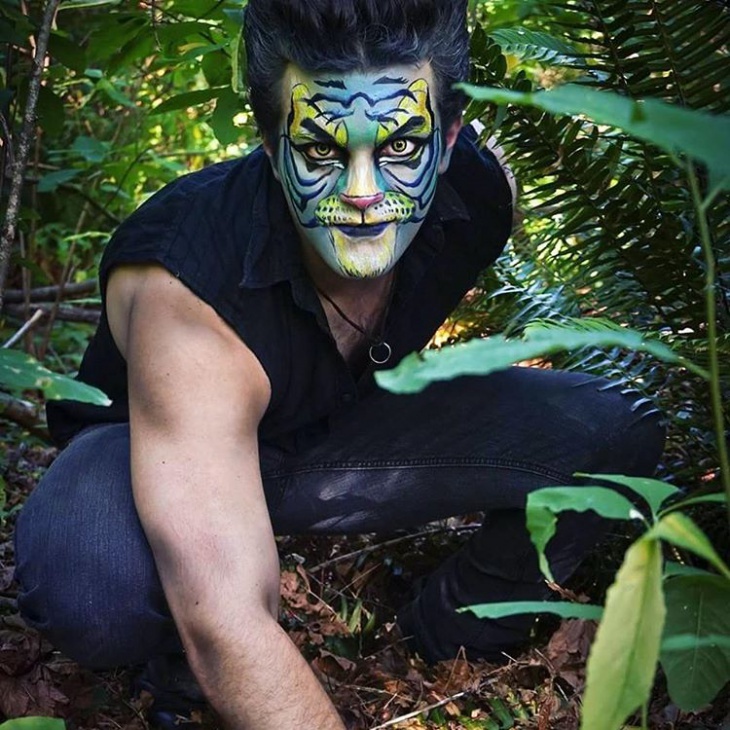 For men it will be easier to catch that dangerous and angry look of a tiger. Use any color combination you see fit for the occasion and bring the eyebrows in a stipple angle for a menacing and stunning look. 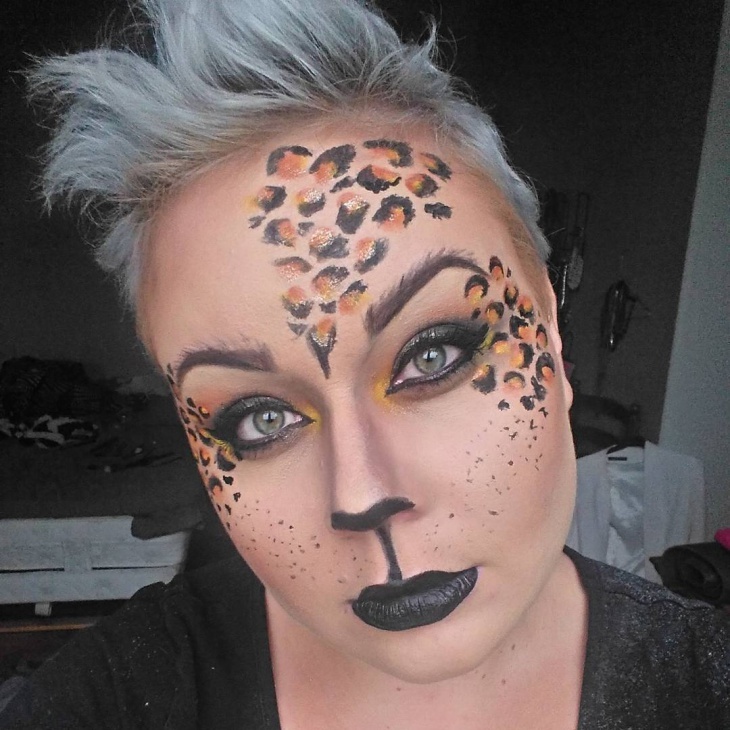 Get inspiration by the kingdom of cats and create this cheetah makeup look. It focuses on the exquisite details that hug the contours of your face. Correct any mishaps with makeup remover wipes for perfect design. 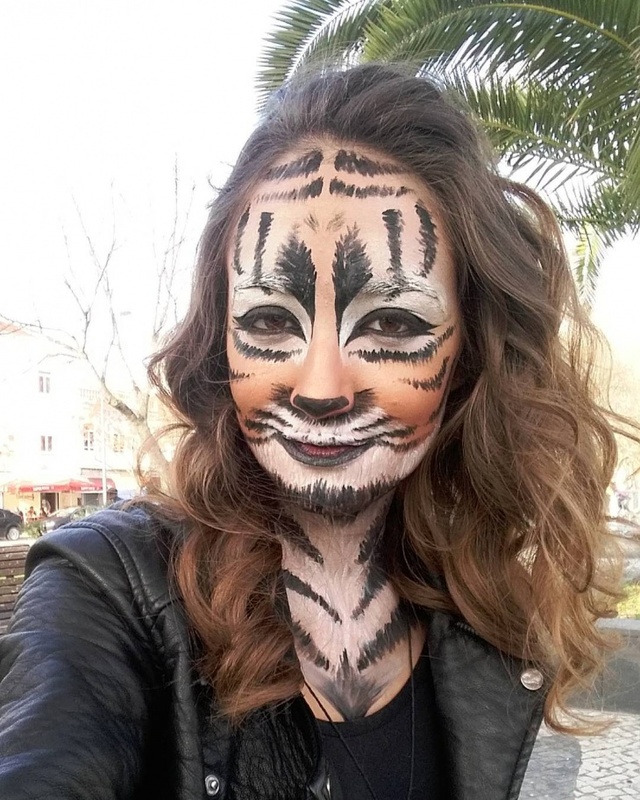 Get a simple and still amazing tiger makeup look in just a few steps. Create a flawless base and design small whiskers above your upper lip. 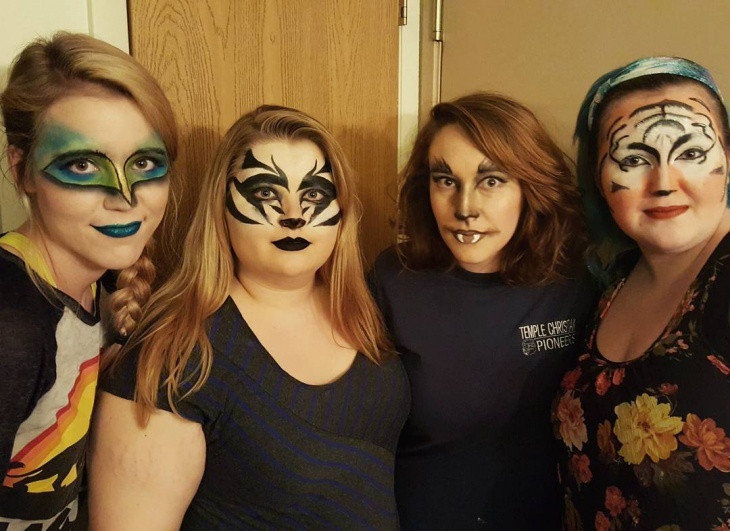 Create the dark lines with black face paint or eye shadow framing your face. 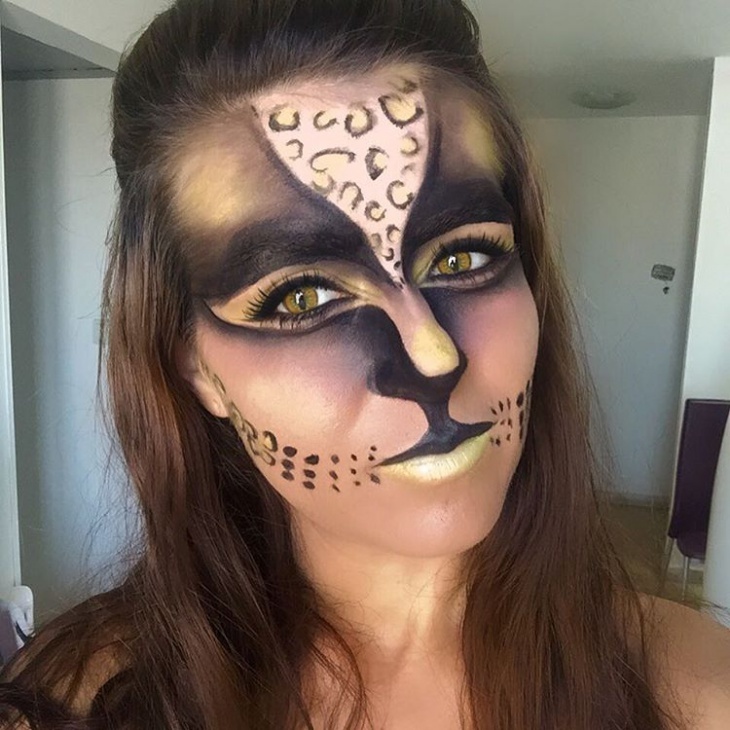 A realistic makeup look needs both bold lines and soft blend ins. Blend the lines well where the fur is supposed to change colors. 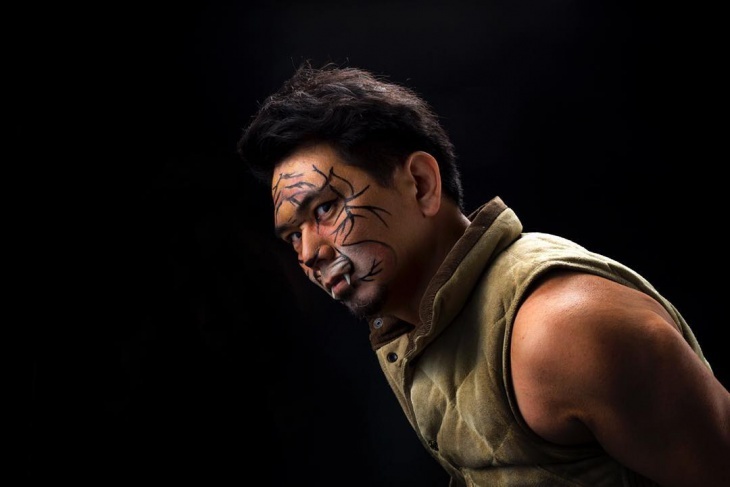 The bright orange color makes the look pop out making ideal for scarecrow makeup idea. This is the best time for kids to have fun. 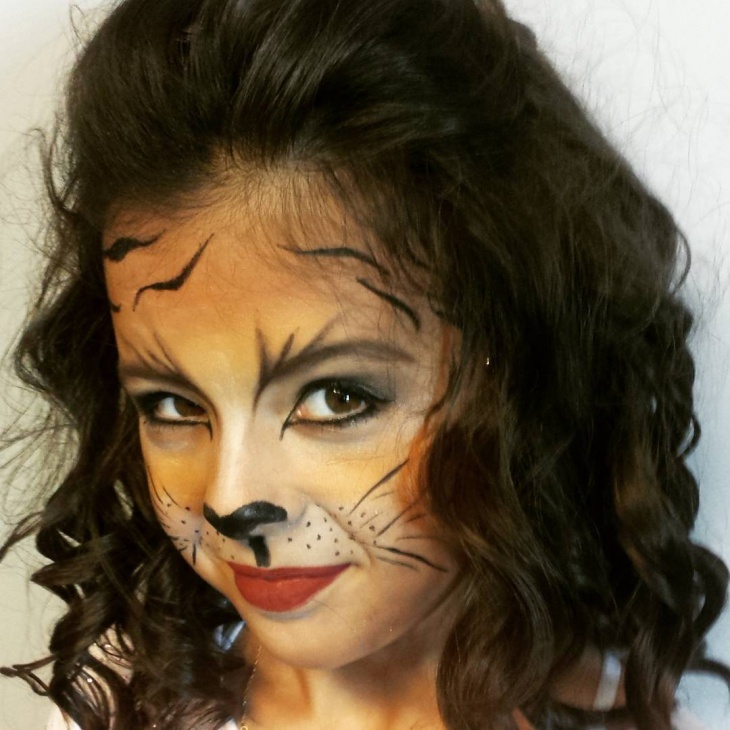 Create funny makeup looks for kids using colorful color combinations. 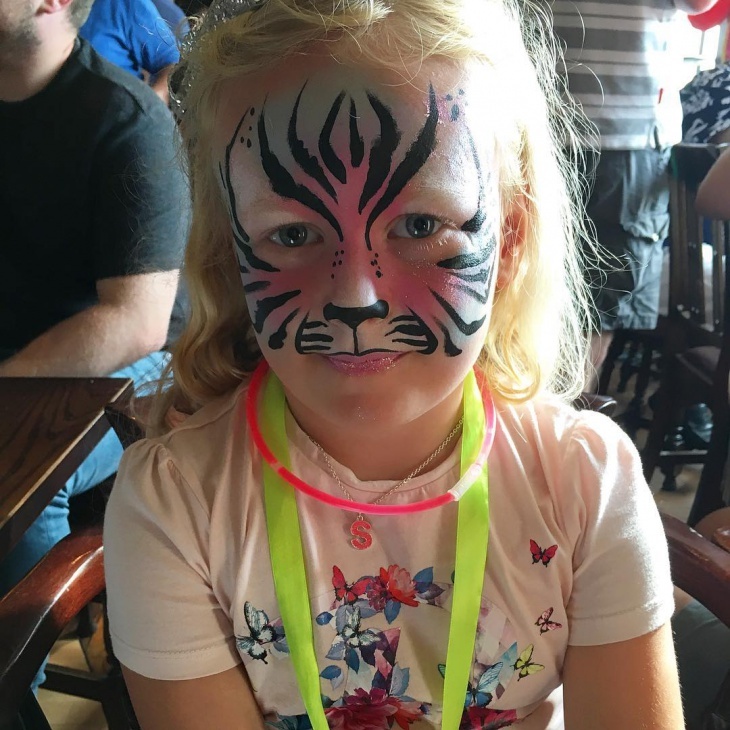 This is a great look that can be modified for both girls and boys without missing out on the fun. No one said that you can get out of bounds when it comes to colors. You can use every color combination you can imagine and still look amazing. 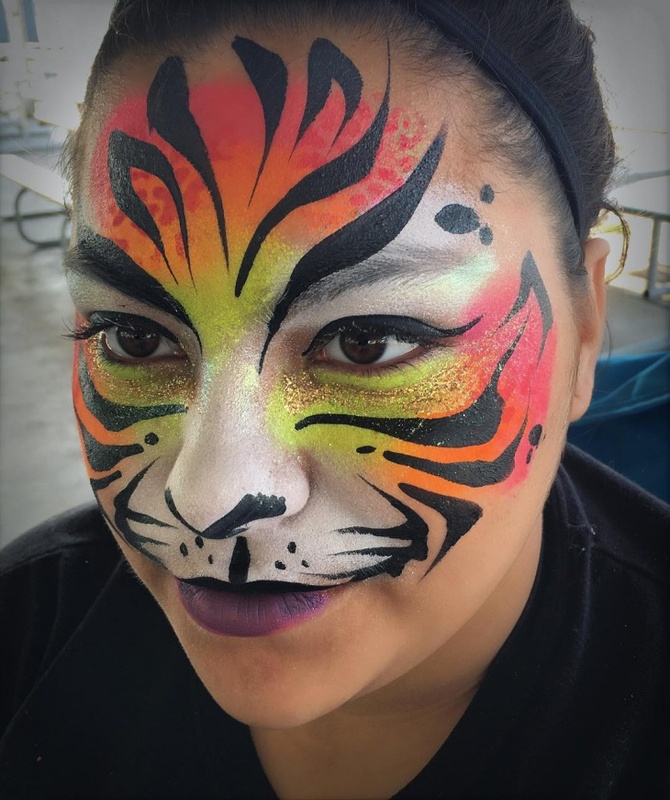 You can use face paint colors or eyeshadows with good pigment. Cats are beautiful and playful animals. 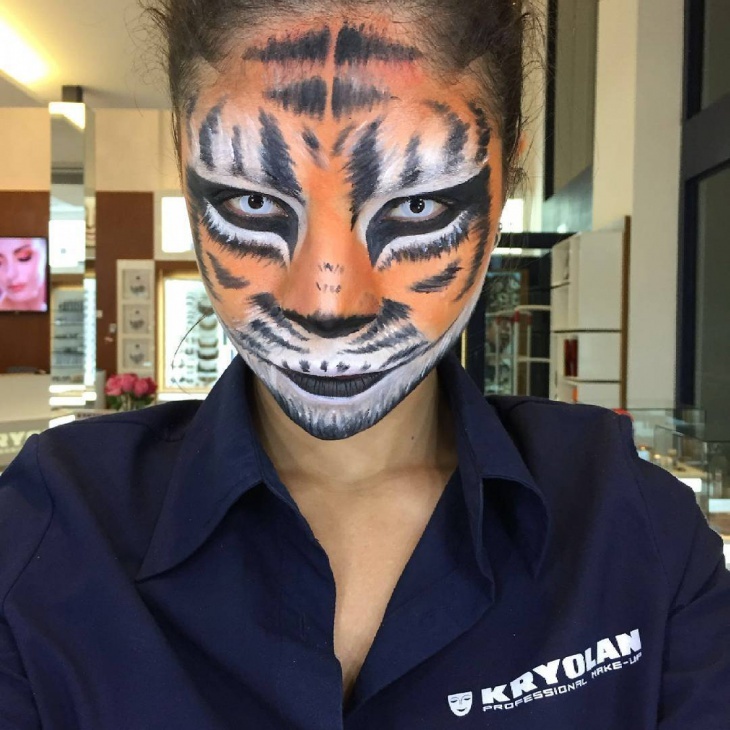 You can get their playfulness work for you with this cute and lovely tiger makeup look. Soften up your brows and add all the details finishing the look with a vibrant red matte lipstick. The cat family is amazing and a great source to get some inspiration from. 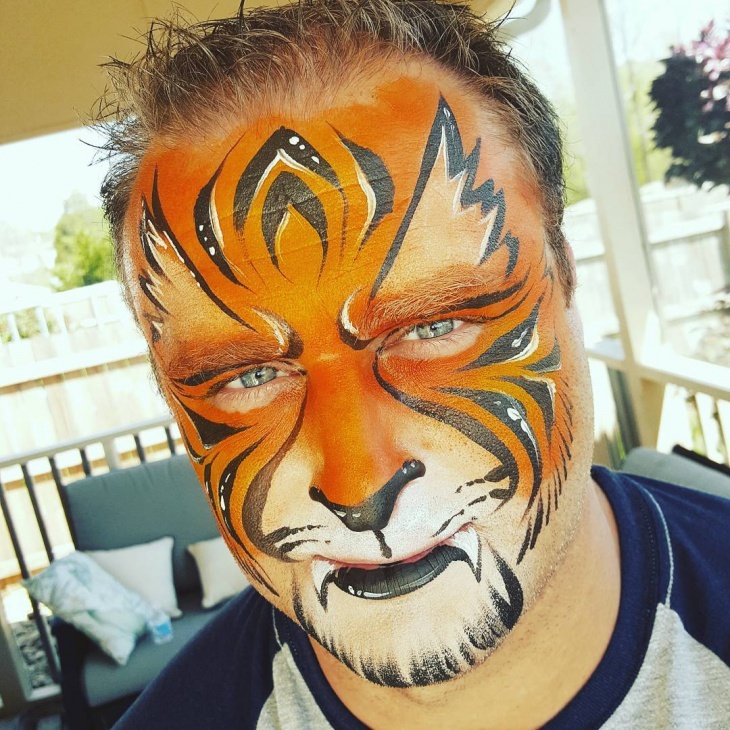 You can have half or full face of tiger makeup or you can go further down. 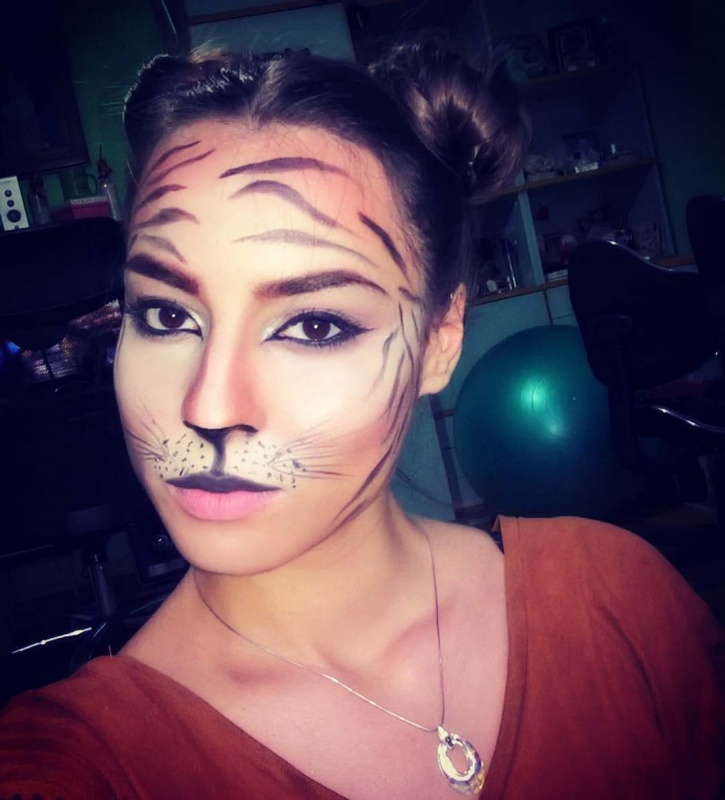 You can use it as prom makeup focusing on the eyes area and giving that cat look every woman loves.